Probiotic with nutrients for multifaceted digestive support. 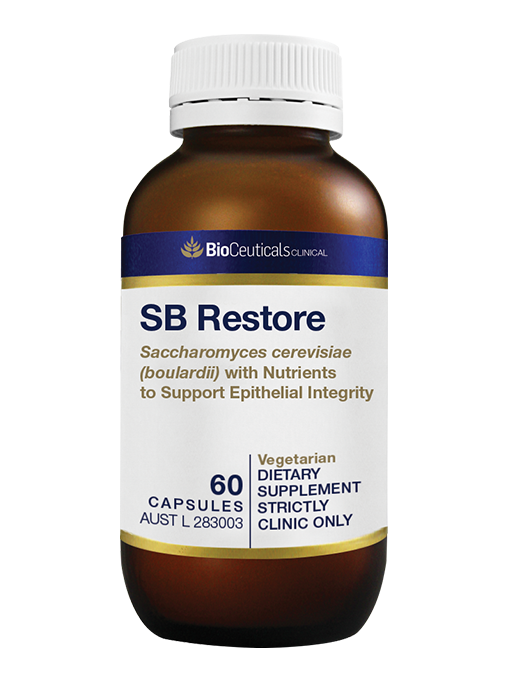 SB Restore combines Saccharomyces boulardii (SB) with vitamin A, vitamin D, selenium and zinc. 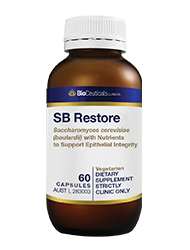 SB may aid digestion and help maintain healthy digestive function, zinc and vitamin A may help maintain epithelial integrity, whilst vitamin A, vitamin D, zinc and selenium may assist immune support. This vegetarian formula has been designed to provide multifaceted support for the gastrointestinal tract.